Wishlist Wednesday is a book blog hop hosted by Pen to Paper. You post about one book that's on your wishlist (whether it's been on there for awhile or has just been added) and you just can't wait to get it on your shelf. One of the world’s favourite books, Pride and Prejudice has long been regarded as a classic romance. In Elizabeth Bennet and Fitzwilliam Darcy, Jane Austen created the greatest pair of sparring lovers since Shakespeare’s Beatrice and Benedick. This sparkling comedy of manners features an inimitable cast of characters including the obsequious Mr Collins, the autocratic Lady Catherine de Bourgh, and Mrs Bennet, the most embarrassing mother in literature. ‘I am going to take a heroine whom nobody but myself will much like,’ wrote Jane Austen when beginning Emma in January 1814. In this she was proved wrong. Pride and Prejudice may be her most famous novel, Persuasion her most deeply affecting, but for many, Emma is Austen’s best novel; the most perfectly balanced between comedy and insight, sparkle and depth. Witty, headstrong Emma Woodhouse, more interested in making matches for others than falling in love herself, is a wholly delightful heroine. The secondary characters – the impressionable Harriet, egotistical Mr Elton and Emma’s gentle, hypochondriac father – are just as unforgettable. Appearing in 1815, Emma was Jane Austen’s fourth published novel, written in a burst of confidence following the success of Sense and Sensibility and Pride and Prejudice. This Folio edition, published to celebrate the novel’s bicentenary, features a new introduction by Fay Weldon, whose Letters to Alice: On First Reading Jane Austen’s Fiction has become a classic introduction to Austen’s works. In it, Weldon describes how ‘a hint of success and a whiff of praise’ may have helped bring Austen to the peak of her powers as an artist. ‘In pleasing herself she wrote a truly modern novel fifty years in advance of its time, in which the writer acts, feels and thinks like her protagonist, and the disbelief of the reader is happily suspended.’ Sam Wolfe Connelly is a young American artist who captures the grace and elegance of the period, and the way in which the smallest gestures could have the greatest significance. This edition is presented in a metallic blue slipcase, with the novel’s famous first line blocked in gold type on the front cover. I'm a Jane Austen fanatic. I own multiple copies of all of her books, and in all honesty do not need another (two). Just look at these, though! These editions feature illustrations by the Balbusso twins (Pride and Prejudice) and Sam Wolfe Connolley (Emma) and are bound in a gorgeous metallic cloth. They also have embossed slipcases to match. I love the Folio Society's work - I own second hand copies of their editions of Jane Austen's Letters and The Brontës: A Life In Letters - and I cannot wait to get my hands on copies of these! It looks like The Folio Society is releasing an Austen series, so fingers crossed we get to see the rest of Austen's works getting this kind of treatment! Any bets as to what the next book in the series would be? I'm leaning towards Persuasion, although Sense and Sensibility is a popular option. Speaking of the Brontës, the Folio Society has recently released some gorgeous editions of Charlotte Brontë's Jane Eyre and Emily Brontë's Wuthering Heights. 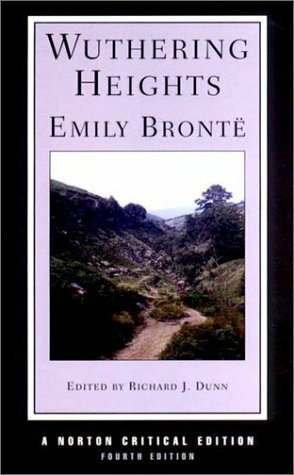 I think I've mentioned before that it is actually the much forgotten Anne who is my favourite Brontë, but I do love JE and WH very much. Jane Eyre and Wuthering Heights look to be part of a series, so I'd love to see Folio Society release some of the lesser known Brontë works.